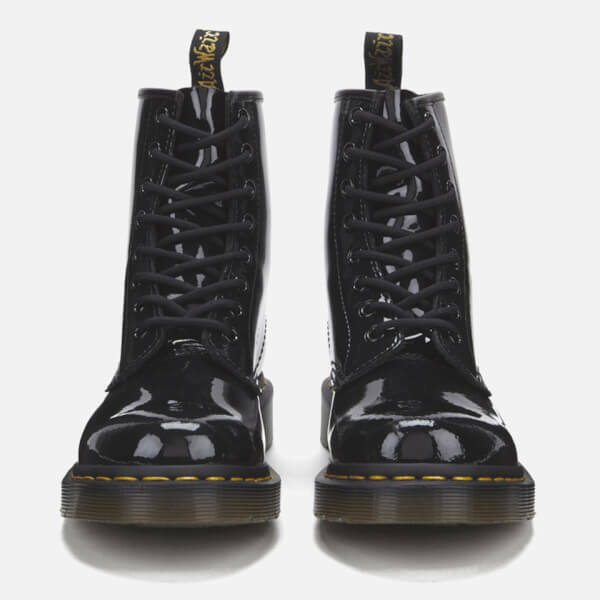 Women’s ‘1460’ black Lamper patent leather boots from Dr. Martens with an eight-eyelet design and a round toe silhouette. 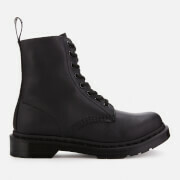 Goodyear-welted with contrast yellow stitching, the upper and sole are heat-sealed and sewn together for durability. 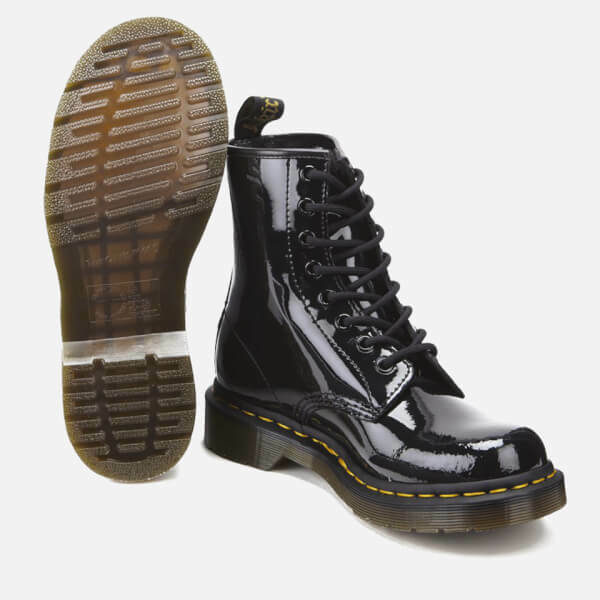 The iconic boots are finished with a branded heel loop and a comfortable air-cushioned sole that offers superb grip. 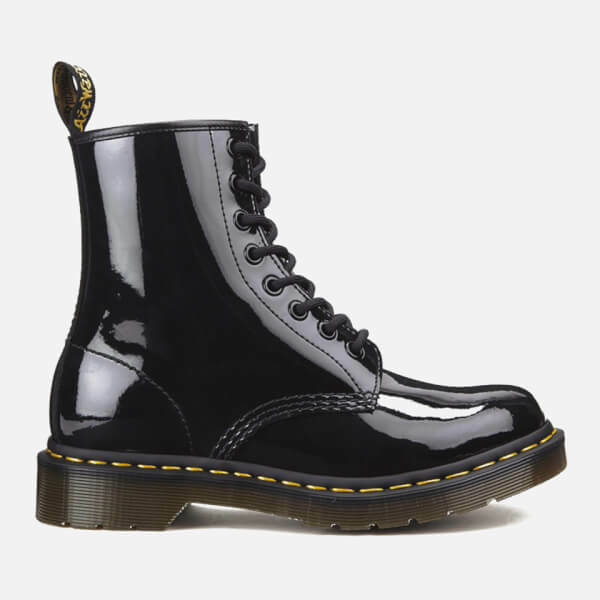 - A.D.
Upper: Patent Leather. 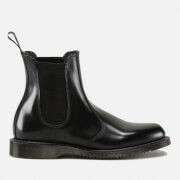 Sole: PVC. Wonderful shoes! Maybe a little smaller than the size is. 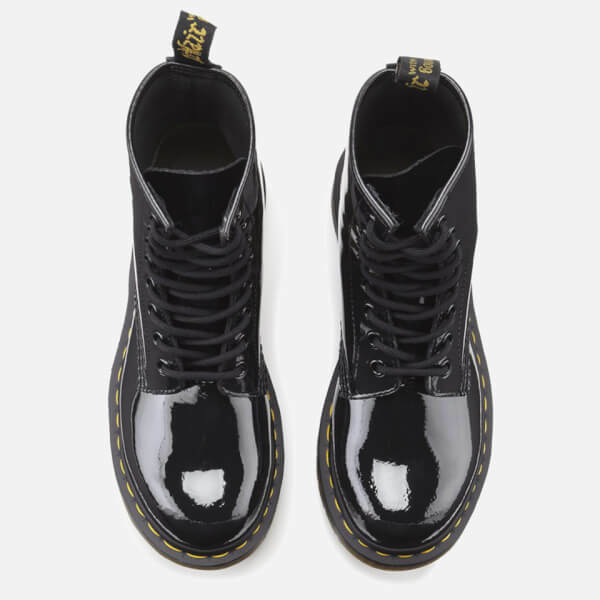 Very high quality, good shiny real leather. I love it! 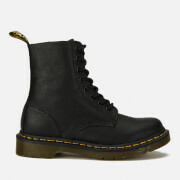 A bit smaller than my previous DR. MARTENS boots. Feels tight with socks. Shinier than expected. I'm very happy with this product and the delivery service. 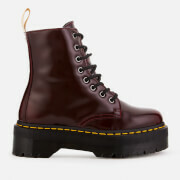 I found this model for more than 1 year and I'm so happy when I saw your website is selling.